Author Notes : Credits to Oriceles and others from the Discord server. If you notice the format of the analysis is similar to Orice's, plus people from the server gave me insight on some of the new cards. Anyways, since Orice had some problems over his side I decided that it would be a nice change to have someone else write the new analysis while he attends to them. Don't get me wrong, his guides are great but I think its too much work for just one person to work on the analysis. Do leave comments on how the analysis looks as this is the first time I'm doing one of these. In the past year we have been blessed with several demon / elf team leaders, such as Hiei, Kurama, Illuminated Savant and Ying Zheng. However most of these cards were not really renewable [Hiei and Kurama is from a Collaboration Event] and neither were they flexible and were mostly restricted [Illuminated Savant was pushed for Mono Light Demons, Hiei for fire and dark demons]. In addition, the old mono elf team leaders had been phased out from the ever-shifting meta. ?Q: Should I draw this seal if I have Ying Zheng? ?A: Eve and Ying Zheng are quite similar; both are demon leaders and demon members are recommended. 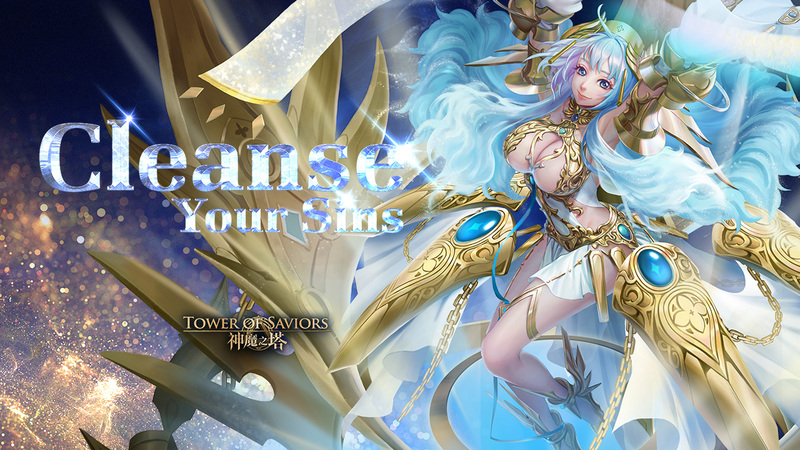 However, Eve does not penalize your damage a lot if you use other attribute elves and demons due to her 50% all rune effect while YZ has no race restriction and can has access to all utility cards (regardless of race, elves and demons are still missing an unlock skill). Eve also boasts her recover leader skill while YZ boasts his rune generation and easy heal effect. If you lack Ying Zheng and have enough diamonds you can go for her, otherwise save up and draw during rate up to try for the rares or wait till a collaboration event arrives. Do note that Eve can't be used as a member outside her team, so take that into consideration. ?Q: Are the commons in the seal worth drawing? ?A: The commons of the seal are quite nice to have, especially since we have an elf clear-effect card and an anti-marked rune card. ?A: Well, partially since new demon leaders introduced are better than the ones we previously have. However it should be noted that the some commons do provide some great utility. *Note* : Do read the patch notes, as TSZ and Ghroth had their synchronization team skills changed. While Lucy's active skill immediately wears off after being hit by ambush. *Note* : Origin of All Sins - Eve and Diva of Obsession - Cleo do not need elf members for their leader skills to work, despite their leader skills stating that they do. Deceiving Motherhood - Li Ji: You can pair her with Aqua for a 2 turn 15 second time tunnel with boost. Or you can just use her for the boost only as the time tunnel effect is pretty niche in most teams. But hey at least we got a replacement for Matthew with more buffs and a shorter CD. Origin of All Sins - Eve: Similar to Kurama from Yu Yu Hakusho Collaboration, but with higher HP, average damage per turn and little to no reliance on heart runes. Although the maximum multiplier of Double Eve lead is only 46.8x, her 50% all rune effect, Fire Light Dark to Enchanted Demon Rune trail and Demon Rune conversion makes up for her weak multiplier. Her added healing effect is pretty sweet and allows you to easily grind on small mobs in stages without having to worry about healing (Although it should be noted that healing outside her leader skill is pretty weak due to her HP buff). Her low CD also lets you spam her active skills, meaning if you have 3 Eves in your team you can sustain her x2.2 Fire and Demon attack active skill provided you dissolve a group of 5 heart runes every turn. [Though you don't necessarily need to run her with only Fire or Demon members]. Its unfortunate that she can't be used as a member outside her team. Note that her apple effect works like Zhurong's Ghost Point system, and does not count towards additional effects. Therefore it cannot be neutralised or reset by enemy skills. Purely Sensual - Longyang Jun: His active skill is a bit niche, you can use him to tank hits against Earth Combo Trojan enemies that keep converting runes into Earth and against enemies with the pesky Initial Shield - Attack x20. However outside that you may need to pair him up with an earth convert / rely on skydrop to provide you with enough earth runes to tank. In addition Elf and Earth Mono have Shyplant to easily provide damage boost and reduction, which is guaranteed. Militant Heroine - Wu Zetian: She's a double edged sword, you can dish out a ton of damage however you end up having around 12k HP at best meaning you are highly susceptible to phantom skills. Her damage reduction is great for stages that are short and only have a few stages that you can stall CD on. Her rune trail is a nice way to generate enchanted demon runes, in addition unlike Daoloth's you can cancel it by spinning from a heart rune. However this holds her back against red to green vortex enemies. Her active skill can also be used to extend time however its worth noting that using a multiattribute demon team will cause her active skill to only explode heart runes. Diva of Obsession - Cleo: She's pretty bad compared to the other two rares. She relies heavily on converters to dish out damage and prefer dark members due to her corner convert skills. Her playstyle was meant to be :1) Stall by not dissolving columns 2) Burst with Skills when ready. 3) Repeat. However, she's just countered way too easily; Mass Weathered Board, Tornado, Phantom (Can't Grind) etc. Some demons do fix her issues and her convert can give guaranteed corner convert with damage boost, even so she is not recommended. Mass Extermination - Bao Si: She counters marked runes with her demon trail, as well as provide additional boost in damage with it as well as the additional attack. You can easily combine her with Hiei's 2nd EP skill (with him as leader) to have a x30 Self Boost since it isn't technically sharing Hiei's attack with another member. Her passive demon rune generation means that you can use her with Patra for a boost without worrying about the lack of demon runes. Suicidal Romance - Yang Yuhuan: An effect clear card that is elf race. Although outclassed by Light Lionel, she can be used as a method to provide full-HP heal. In addition she can also be used to reduce the CD of other members when paired with cards from the Fruitties Series. 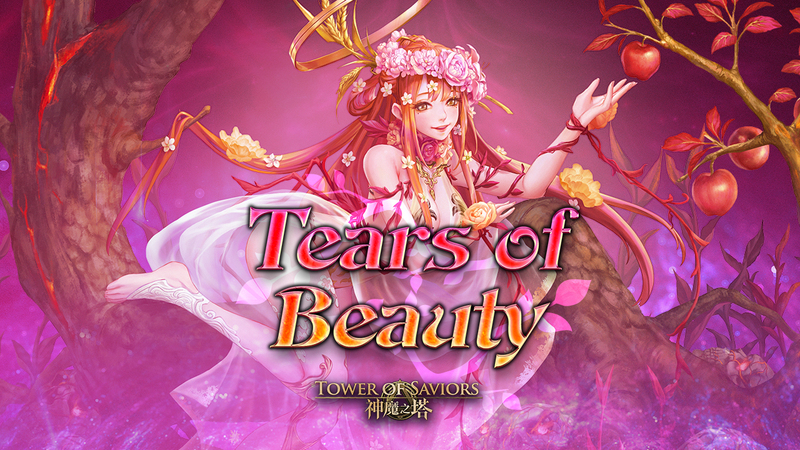 Forbidden Masculinity - Mo Xi: Her active skill was built for Satan team, which will probably have their Power Release available soon in the near future so it wouldn't be half-bad to keep one of her around. You can use her in other teams (apart from Satan, Ying Zheng seems like a valid choice), however you may need to bring a heart droprate removal card (Dark Xi) to be able to safely use the card. Similar to Bao Si, she can be used with with Patra thanks to her passive demon rune generation. Unlike Ying Zheng, Eve can slot in any demon / elf members without drawbacks thanks to her all rune effect. Therefore you have many member options to choose from. Defensive-Utility Demon Only setup : I think this is the best setup recommended for Eve, with Ubume providing damage boost and reduction while Theresia further boosts damage and provides vampiric healing effect. The other two slots can be used to slot in demon support cards. Fire Mono Demon : Its an extremely weird mix-up. Since fire demon / elves pool lack a lot of usable cards. Normally you would only use this or something similar for fire demon achievements. Bao Si can be swapped with Doris. HP - Recovery Setup : Basically meme, HP and recovery shouldn't be a problem with this team as long as you can spin. Rip utility though. Faded Memento - Yu Miaoyi: Another mass water conversion, but with an added buff. You would only use this card in water teams with another human, mainly because of the attribute change buff being useless outside these teams. In addition with uncontrollable enemies becoming more frequent and water card conversions that are already available mean that this card is easily replaced. Although the specific column removal (if using only 1 additional human) can be great at removing masked column of runes. Tender Soul - Li Lianying: A speedy conversion similar to Yunyun combo, however provides no heart runes and prioritizes Light and Dark instead of non-team attribute. Keep a copy of her in case you need it. Voluntary Victim - Wang Zhaojun: Mainly for Tang Sangzang (paired with Edison or Erza) and Elf teams. She's a great boost in TSZ, however in elf teams her boost is weaker compared to other existing elf boosts. In addition you will need to pair her with another card that can produce race runestones in order to be able to sustain her active skill, otherwise you should assume that she has CD 10(Open skill, save an elf runestone for next activation). Otherwise she kinda works if you want to produce enchanted runestones without having to dissolve 5 in a group. Artistic Scalping - Xi Shi: Don't miss this card, she's a great counter against Enchanted Quintet Shields even if you don't have Aloha. It must be mentioned that she has lower stats compared to Nyx, but still can be used in dark teams. Crime Inducer - Ouroboros: His active skill provides a replacement for other attribute attack cards such as Giemsa, Dong Zhuo, Merlin (with Cassandra) and etc. Albeit weaker and relies on the team dishing out a ton of damage (Unless your leader can just self boost their attack, however most of these buffs are not shareable), therefore you're much better running with the other cards listed for the specific attribute if allowed. However his Isabel-like skill can be used as a "Get out of jail for free". Leader Skill: Water and Human Attack x 6. Extend Runestone-moving time regardlessly by 1 second. Fire and Earth Runestones also possess 50% effect of Heart Runestones (effects can be superimposed). By dissolving Water, Fire and Earth Runestones in the same Round, the Monster launches 3 extra attacks (Water, Fire and Earth each) as much as 50% of its attack. Team Skills: Conditions : The Leader and Ally must be "Chalice of Eternity - Aria". Turn Runestones into Human Runestones according to Team Members’ number of attacks and Attributes at the end of the Round, to the max 6 Runestones to be turned for each Attribute. Conditions : Both the Leader & Ally are “Chalice of Eternity – Aria”. There is at least one Fire Monster in the Team. Both the Leader & Ally are “Chalice of Eternity – Aria”. There is at least one Earth Monster in the Team. Both the Leader and Ally are “Chalice of Eternity – Aria”. The Team consists of only Humans or Water Monsters. Chalice of Eternity - Aria: I don't find her quite appealing as a card. Compared to the black golds that were released last year she would be on-par and possibly even stronger than them. But compared to YZ, she does have the flexibility but to fully utilize her team skill you would need to use WFE Humans (You can slot in LD Humans for Support but otherwise, don't use them). A counter to quintet elemental shield is nice, but most teams already have a way to work around the aforementioned enemy skill. In addition you would normally see this enemy skill at most once per stage, although you can still use her active skill against 10 WFE cummulative shield and most full board debuffs. Her HP is pretty low compared to most other Genesis cards. While she does have her tumbler as a saving grace it is only triggered when using a mono water / human setup. Fire and Earth healing is similar to that of Meso's earth and dark healing, albeit without water effect if you run mono water (another reason to why you shouldn't use mono water). A solid multiplier of 90x, but its less BS than YZ and requires actual spinning and boosts against tanky mobs. Credits to @OmicronBob#7201 for providing the image. Thank you for the post, I think it convinced me to skip this draw lol. Hope everything is ok with Oriceles. Next time don't forget to bold the characters name :lul:.